Since leaving New York in 1959, Tony Scott (a top bebop-oriented clarinetist) has been an eager world traveler who enjoys exploring the folk music of other countries. Unfortunately, his post-1959 recordings have been few, far between, difficult-to-locate, and sometimes erratic, but Scott was an unheralded pioneer in both world music and new age. Tony Scott attended Juilliard during 1940-1942, played at Minton's Playhouse, and then after three years in the military he became one of the few clarinetists to play bop. His cool tone (heard at its best on a 1950 Sarah Vaughan session that also includes Miles Davis) stood out from the more hard-driving playing of Buddy DeFranco. 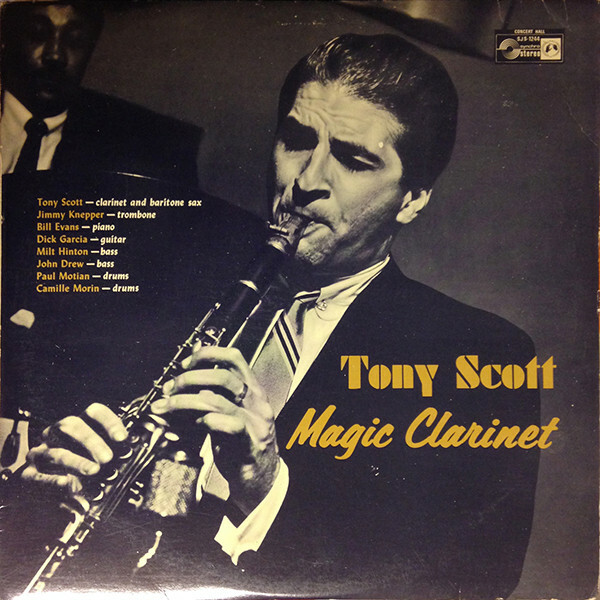 Scott worked with a wide variety of major players (including Ben Webster, Trummy Young, Earl Bostic, Charlie Ventura, Claude Thornhill, Buddy Rich, and Billie Holiday), led his own record dates (among his sidemen were Dizzy Gillespie and a young Bill Evans) which ranged from bop and cool to free improvisations (all are currently difficult to locate), and ranked with DeFranco at the top of his field.